26 Feb: It has been a while since I paid Gérard Mulot a visit but whenever I was near there in the past few months, it tended to be late and the shop has closed for the day. It seems Mulot is currently still sporting a Valentine-themed window, but given March is looming, this probably won’t be in place for too much longer. 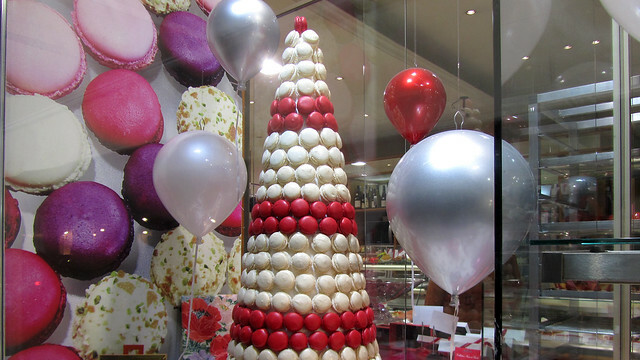 Anyway, I must return during the day soon and pick up a few delicious goodies. 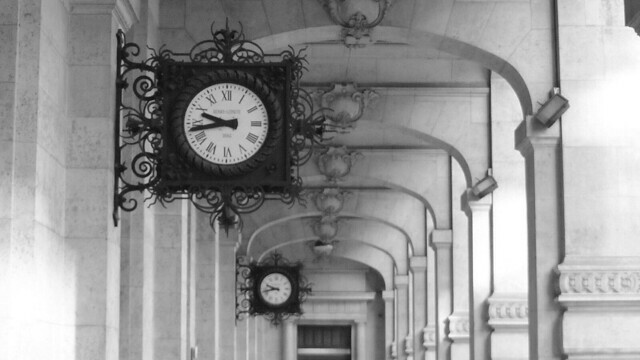 27 Feb: The main post office in Paris is situated on rue du Louvre, and it is open 24 hour a day, 7 days a week. In another word, it never shuts. It matters not if it’s 9.44am or 9.44pm, it’s business as usual. I remember using this branch years ago when I was an undergrad. I was in Paris during my spring break but I have assignment to hand in in Dublin! I ended up posting it late one night as soon as I finished my assignment, only to have my TA/demonstrator told me later on that he wouldn’t have minded if I handed it in when I returned. 28 Feb: Keeping one’s eyes peeled in Paris can be a very rewarding exercise. There are just so many little quirks here and there to change one’s perception of the city, and it is in most unexpected places that it has the ability to surprise. 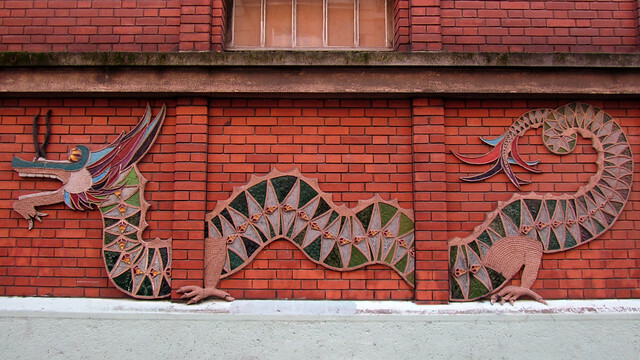 Passing by a school (if I recalled correctly) in the 14th arrondissement, see what greeted me when I crossed the road? A dragon! 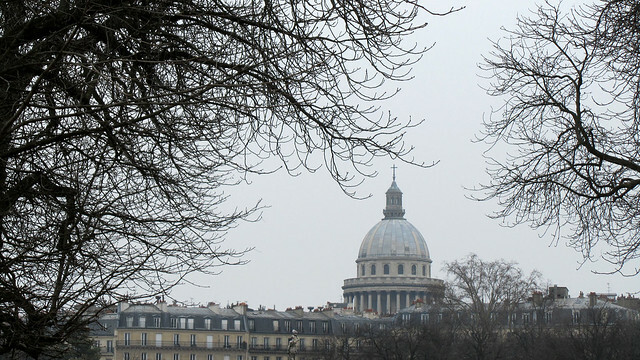 1 Mar: The Panthéon dominates the skyline of the Latin Quarter, and I see it pretty much on a daily basis. Today’s picture has been photographed from the Luxembourg Garden, when I crossed the garden from the western entrance towards the eastern point. The trees are still bare for the season, but there are signs of spring arriving throughout the garden in the form of tender blooms. Bring on the springtime, I say! 2 Mar: I have come to think of Place St Sulpice at the principal square of the 6th arrondissement. 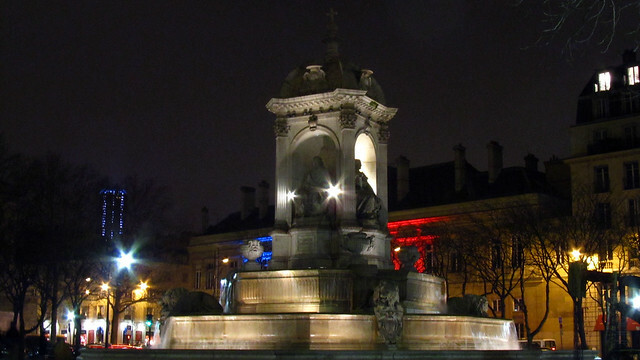 Perhaps it is due to the presence of the mairie of the arrondissement on the square, shown here as building lit with the tricolour of French flag. Perhaps it is the Fontaine St Sulpice, also know as Fountain of the Four Bishops, thanks to the statues of four influential bishops from the 17th century. Perhaps it is St Sulpice – the second largest church of Paris – itself, which is now well known internationally thanks to mentions by certain bestselling fictional author. A couple of animated short (love) films Oh my – I have a carte vitale! i must say i like that first photo myself, just wishing it’s “clearer” to see structures in the background. 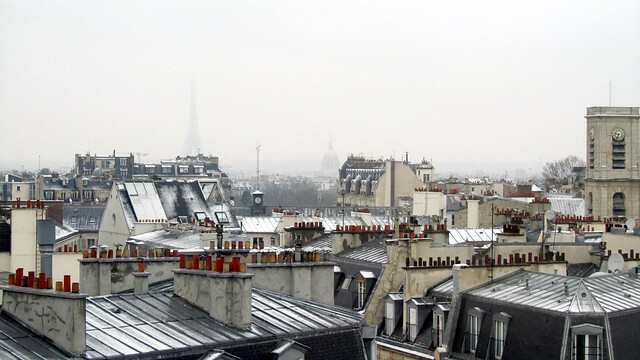 as it is, you can just about make out eiffel tower and les invalides, but arc de triomphe is missing. hehehe, no honey bought, as i have just ordered some which comes bee hives from the rooftop of my very own institute! funny thing is, i hardly ever notice bees in the city. 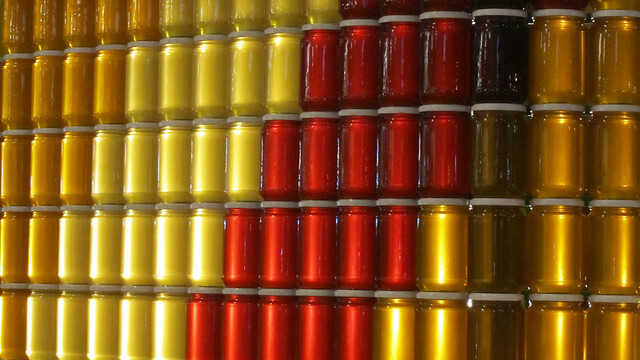 and somehow they managed to produce some delicious honey.